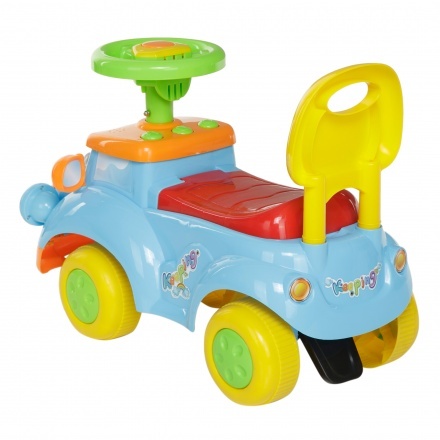 Juniors Ride-on Car | Multicolour | It has a steering handle and wheels for easy movement. Add this charming ride-on car to your little one's toy collection and delight him. 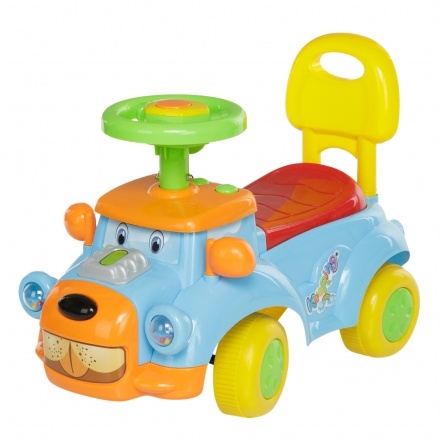 Featuring a sturdy make, it has a seat and a backrest for comfort and safety with minimum assembly required. Feature 1 : It has a steering handle and wheels for easy movement. Feature 3 : It is made from plastic. 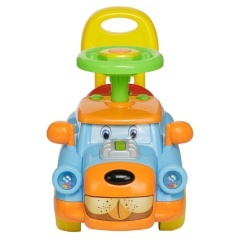 Feature 2 : It comes with interactive toys to develop your child's skills and can support weight up to 23 kgs.